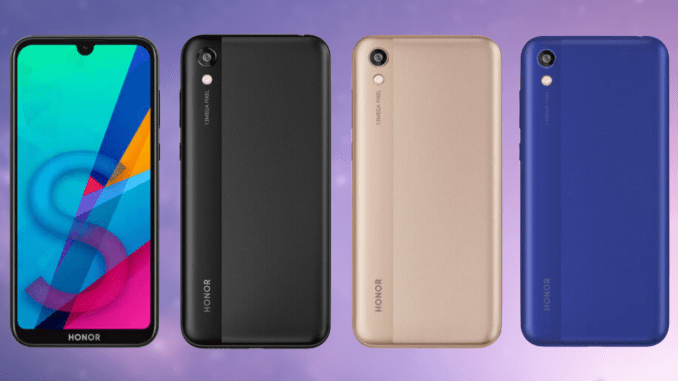 A new device from Honor called as Honor 8S has leaked online with entry-level specifications. The device is expected to come with aggressive pricing and will be the successor of the Honor 7S that was launched last year. The leaked image reveals that the device will be coming with a polycarbonate body with a two-tone finish. Recently we have also seen Honor launching its 8A Pro smartphone that was powered with a MediaTek Helio P35 SoC. Well, the upcoming handset will be coming with a 5.71-inch display with HD+ (1520 x 720 pixels) resolution and will be having a waterdrop notch housing the front facing camera. Under the hood, it is speculated to come with a MediaTek Helio A22 quad-core processor built on 12nm FinFET node with a clocking speed of 2.0 GHz coupled with Power GE8320 GPU. It will be coming with a 3020 mAh battery on the back and does not have any fast charging technology since it is a budget oriented device. 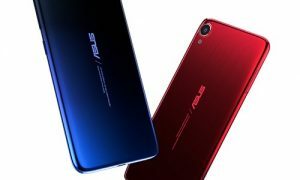 It will be sporting a 2GB and 3GB of RAM option along with 32GB and 64GB of onboard storage who can be extended further with microSD card slot. It will come out of the box, with Android 9.0 Pie Operating system with EMUI 9.0 on top. As per the optics are concerned, the device will be sporting just a 13MP single main camera sensor with a LED flash and a 5MP camera on the front for selfies. We also do not find a fingerprint sensor on the device which is the sad part since all the new devices provide basic security protection with at least a fingerprint sensor. It will be coming in Blue, Black and Gold color option. As of now, there is no information on the pricing of the handset which we should be known in the coming days. What are your views on this upcoming handset from Honor? Comment in the section below and stay tuned to Android Advices for more similar news and updates.